Advertiser.ie - People of the Tribes: Meet Cian. People of the Tribes: Meet Cian. Hi, my name is Cian Waters. I'm from Craughwell Co. Galway. I like hanging out with my friends and playing soccer on the local astroturf. I really love Galway, it's a nice place to live, very safe, the people are extremely nice. It's also a very cheap place to live compared to Dublin which is a bonus. 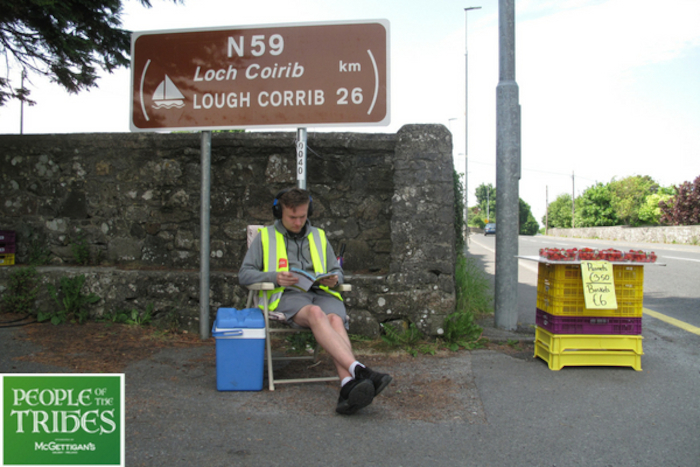 I'm here on the N59 selling Strawberries and planning on going to Formentera, Spain later in the summer. Cian Dublin Human Interest Spain Environment [email protected] Kyan Kian Cian Waters Craughwell Co.
People of the Tribes: Meet David. People of the Tribes: Meet Carly. People of the Tribes: Meet Kieran. People of the Tribes : Meet Jackie. People of the Tribes: Meet Patrick. People of the Tribes: Meet Paul. People of the Tribes : Meet Andy. People of the Tribes : Meet Cian. People of the Tribes : Meet Senan.